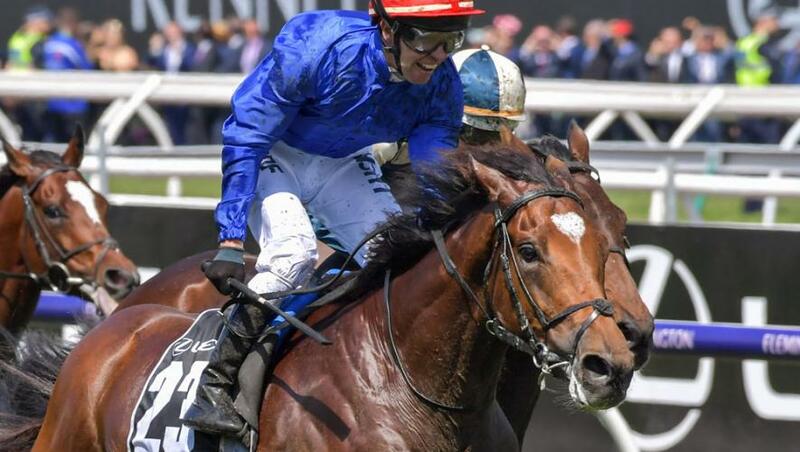 Godolphin’s talented Melbourne Cup hero Cross Counter is in line for a return visit to Australia in a bid to join Makybe Diva, Think Big, Rain Lover, Peter Pan and Archer as a multiple winner of the iconic sporting prize. Cross Counter, a son of Darley stallion Teofilo, came out of the race well but is now set to take a prolonged break from racing, according to trainer Charlie Appleby. The trainer said he thought the Australian style of racing suited the gelding, who was having only his eighth start when lifting the Cup. “He is a progressive stayer with a good turn-of-foot, and that’s exactly what you need down in Australia. “I will discuss Cross Counter’s future with His Highness Sheikh Mohammed, who has been involved in formulating plans for this horse right from the start. “All options are open, obviously, including races in Europe, but I think he has shown how effective he can be in Melbourne, and a return to have another crack at the Cup is very much on the cards. “I know it will be a very different story next time because he is sure to go up in the weights significantly, and I am aware of how few multiple winners there have been...and all of them have been champion stayers of their time,” he added. In the 158-year history of the Melbourne Cup, dual winners have been rare. Archer (1861-62) won the first two runnings, while Makybe Diva, an exceptional stayer in her era (2003-4-5), became the only triple winner, an achievement unlikely to be repeated.